I’ve gotten to know this girl, Liz Kellerer just recently, but she makes me feel amazing! She is full of talent, beauty, love and just passion for what she wants to do in life. I’m keeping this short, she is amazing and will have amazing future ahead of her, so happy to have her as a friend and will be supporting her every way I can on her journey :). 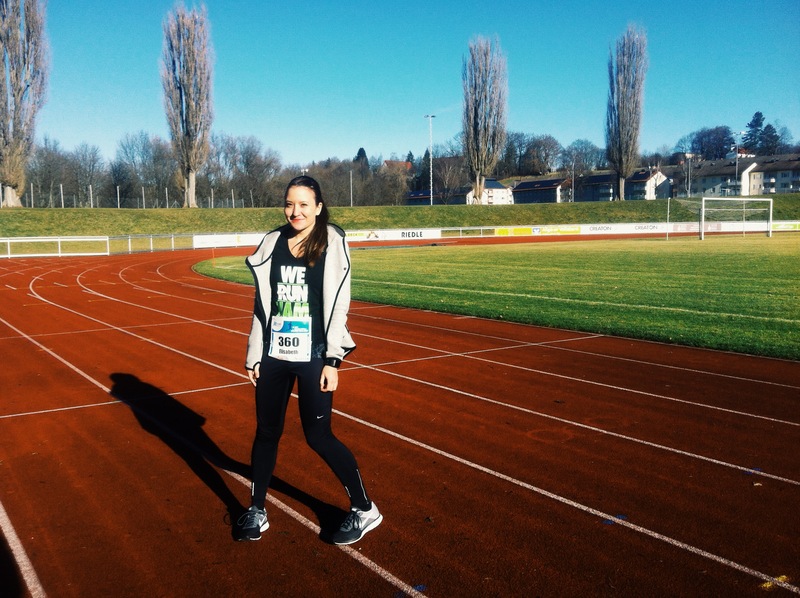 My name is Liz and I’m a 20 year-old photographer, runner and (mountain)lover from South Germany. I’m a soon-to-be student and currently just enjoying life and doing a lot of running, cycling, swimming, traveling and loving. Well, I’ve always been really active. I’ve been in a gymnastics-group for more than ten years, I played football for some years, I did a little athletics and swimming here and there – but when I was eleven years old, my mum just asked me to run a 5k-running competition on the day she was running her first half marathon. The day before the race I did my first 5k ever and I was quite sure that I’ll never be able to run over the finish line. But I just did. And ended up as the 2nd woman in 26minutes (it was a new, unknown running-competition that just started in 2005 so there weren’t that many competitors :D). One year later, I was already able to run those 5k in 22minutes. So I just ran, ran and ran. So, all in all I have to thank my mother for bringing me into running. What has running given to you? Oh, a lot. First of all, a brand new view of my self. I mean, I’ve never been the prettiest or skinniest girl out there – but I have the legs and the mind to run for 42km. Just for fun. I’m strong, and I have the discipline to train hard for my goals. Also, I’ve seen so many beautiful places while running and I experienced so many wonderful, small moments. There’s something so magical about running through the forest on a foggy morning. Or running on the top of the hill and having a wonderful view over Lake Garda. Or seeing a little fox and deer in the rain in the forest. I would’ve never been able to get memories like these without running. And, most important, I gained many new friends and a strong community through running. I have a notebook, a kind of a diary. It’s filled with pictures, texts, tickets and all that stuff. There’s also a list I wrote by the end of last year with my goals for this year. I already finished my first marathon in 3:54:11 on may 4th – so, only two goals left. The triathlon is in august, the halfmarathon in september. So let’s see. Or rather: Let’s run! But my overall running goal is to be happy, healthy and always having fun while running. Favorite race / race memory? Oh, there are so many..
1. Running my first race at the age of 11. That’s just where everything started. 2. There’s a run in Ulm where you run up the Ulmer Münster (tallest church in the whole world, by the way). Only stairs. 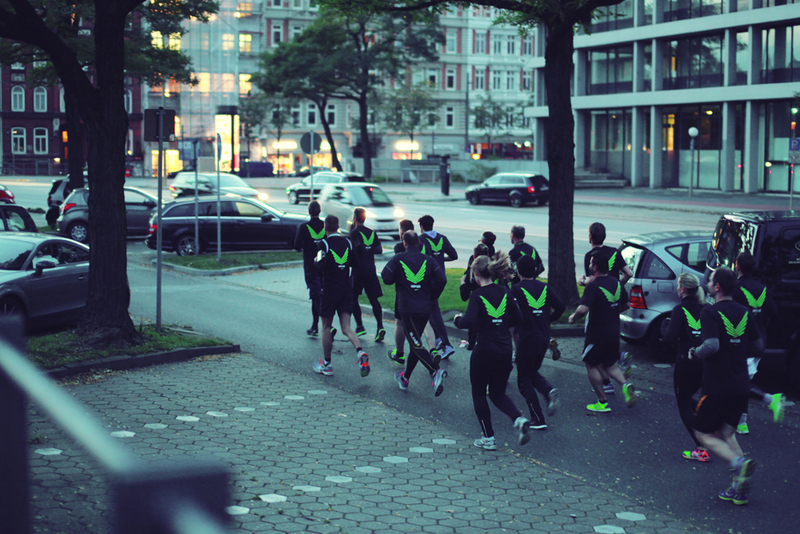 The runners start every 30 seconds. So when I was running up the stairs I heard someone crying – and I found a little girl sitting on the stairs, really exhausted and weak. She just couldn’t do it. So I sat her on my back and I carried her to the top of the church – the way down was shorter, but it was simply not possible to carry her down as the other runners would just bump into me. Yep, so I climbed up about 400 stairs with a 40kg-child on my back. 3. On my first halfmarathon it was way too hot outside – after weeks of snow we just had about 24 degrees on the race day. At kilometer 19 I was really tired, I just didn’t feel like running anymore. There was a man running next to me and he just told me: “I’m tired, too. Let’s just do it together.” – and so we both finished in 1:50, we crossed the finish line at the very same time and just hugged each. We both were so thankful. 4. On my second halfmarathon (a round-course with 4x5km), I already had my tan lines from cycling – and there was a group of biker standing with their bikes cheering at me every time I passed them. They were so happy to see a girl with tan lines from cycling – and for me it was pretty motivating to have a personal fan group, haha. 5. My mother being proud as hell after I finished my first 5k, second 5k, first 10k, second 10k, third 10k, first 21k, second 21k, third 21k, first 42k and ever other run I did. It’s always such a good feeling to make her being proud of me. 6. Having a boyfriend who runs with me every run, who travels with me to my first marathon, who just understands why I am doing all of this. I’ll never forget the hug he gave me after my first marathon when I was more than on my physical and psychical limit. And.. many many many more. Personal golden tip/motto when it comes to running? “And at the end of the day, your feet should be dirty, your hair messy and your eyes sparkling.” (Shanti) and “May you have air in your lungs, life in your legs, have the wind at your back and wings on your feet.” (Geoff Hollister). And all in all: You can do whatever you want to do. You just need to do it. Oh, there are some running tights by Nike. Mine already have holes and are really outworn (and I really need to get some new ones), but they are sooo comfortable! It’s the Nike Filament Tight. Not available everywhere, but I can just recommend it to everyone (and if you buy one, just buy two, or three. You will never regret it!). OH AND! The Nike Tech Fleece Cape. Wah! That’s the most comfortable thing I ever wore. Best 80€ I ever spent on something. Best thing in the whole world is wearing the tights and the cape together. Also, I don’t want to miss my Garmin Forerunner 220. Such a good running watch! Running. 😀 Nah, just kidding. Besides from running I love cycling, swimming, snowboarding, hiking. And besides from sports I love photography. I don’t have any guilty pleasures as I just do what makes me happy – and IF it’s listening to “Ruby” by Kaiser Chiefs during my first marathon or eating a whole bag of chips, a pizza and a cup of ice-cream on one day – it’s totally ok, worth it and the thing I wanted to do. Having regrets and feeling guilty after something you once wanted so bad is just ridiculous. I just want to see where my body’s limits are. And I get motivated by all the wonderful people I surround myself with and by my goals. Favorite song, book, movie, shoe, city? One does not have only one favorite song/book/movie..? Shoe: The Nike Flyknit Lunar 2. Most. Comfortable. Shoe. Ever. This entry was posted in interview, superhero and tagged crewlove, cycling, friendship, hero, interview, lizkefotografie, love, photographer, Running. Bookmark the permalink.